Albany, NY - September 16, 2015 - Governor Andrew M. Cuomo today announced 15 more businesses plan to expand in or locate to New York as a result of START-UP NY, the innovative program that establishes tax-free areas associated with colleges and universities across the state. These 15 businesses have committed to create at least 220 new jobs and invest approximately $4.3 million over the next five years in the Western New York, Southern Tier, Central New York, Capital District, Mid-Hudson and Long Island regions. The 15 companies announced today are sponsored by: Alfred State University, University at Albany, University at Buffalo, Long Island University, Mohawk Valley Community College, Schenectady County Community College, SUNY Polytechnic Institute, SUNY Upstate Medical, Binghamton University and Stony Brook University. START-UP NY now has commitments from 143 companies – sponsored by 29 different colleges and universities statewide – to create 3,841 new jobs and invest more than $184 million over the next five years across the state. The businesses expanding in or locating to the Empire State under START-UP NY will create jobs in several key industries, including: Internet publishing and broadcasting; research and development in biotechnology; high technology; electromedical and electrotherapeutic apparatus manufacturing; computer information technology; research and development; software publishers; medical devices; electronics and sensor technologies manufacturing; aircraft manufacturing; software development; and data processing, hosting and computer systems design services. DPS Advanced Technology Group, Inc.
Laura L. Anglin, president of the Albany-based Commission on Independent Colleges and Universities said, “In every corner of New York State, our colleges and universities are the anchor tenants of their communities. They are hubs of knowledge creation and idea generation, attracting talent from across the world and putting in place cutting-edge facilities. START-UP NY is all about leveraging our intellectual infrastructure, and private, not-for-profit colleges and universities are excited to be part of Governor Cuomo’s work to showcase our higher education assets as part of the state’s economic development efforts." DPS Advanced Technology Group, Inc. is an Architectural and Engineering firm providing professional services supporting the facilities needs of life sciences and advanced-technology manufacturing clients. The Ireland-based company currently has offices in Massachusetts, North Carolina and California. DPS will expand into New York, where the company will provide peer review and commentary for Engineer of Record designs for complex process engineering projects. DPS will locate to the Zero Energy Nanotechnology Building on the SUNY PoIy campus in Albany. The company will create 56 new jobs and invest $285,000. Angelsoft, LLC (d/b/a Gust) is an existing NYS company that provides a global SaaS (software as a solution) platform for the sourcing and management of early-stage investments across 80 countries. Gust enables skilled entrepreneurs to collaborate with accredited investors by virtually supporting all aspects of the investment relationship. Gust’s collaboration tools provide everything a business needs to manage relationships with investors from pitch to exit. Gust is investing in its growth and expanding to SUNY Binghamton’s Engineering and Science Building on campus in Vestal. The company will create eight new jobs and invest $16,000. Callsign, Inc. is an international cybersecurity company with engineering and sales teams in London and Boston that is expanding to New York. The company provides a platform to eliminate the need for passwords to access services, systems, applications, and networks. The system provides an easy user experience that assures the identity of the user in a highly secure environment. Callsign will partner with Binghamton University to continue increasing research and development activities in the areas of biometrics. The company will also build out customer services, support and integration capabilities. Callsign will locate to the Engineering and Science Building on the campus in Vestal. The company will create 38 new jobs and invest $320,000. Furlocity, Inc. is a California company that will expand its operations in New York. Furlocity.com is the premier pet portal for booking boarding stays, veterinary appointments, and pet friendly hotels. This consumer services site currently serves over 30 states and 90 cities across the U.S. with intentions to expand globally. Furlocity will locate to the NY BizLab in Schenectady. The company will create 18 new jobs and invest $70,000. Lotto Points Plus, LLC is an existing NYS company that has developed a mobile/web platform (Lottery Rewards) that delivers free engagement solutions to the nation’s 150+ million lottery players. The platform provides state lottery players a second chance offering through a multitude of gaming solutions including sweepstakes for cash and product prizes. Lottery Rewards will be offered nationally through the entry of a purchased lottery ticket that was not a winning ticket. The company has a Process Patent Pending on "The use of a lottery ticket purchased through a retailer for sweepstakes." Lotto Points Plus will locate to the NY Biz Lab in Schenectady. The company will create 16 new jobs and invest $110,000. EnerMed, LLC is a new biotechnology research and development company that owns, and intends to license, patent pending technologies for novel portable patient-specific wound and bone healing devices. The wireless approach to patient devices has potential for use in other medical devices as well and collects and reports bioinformatics. EnerMed will locate to the University at Buffalo Gateway Building. The company will create three new jobs and invest $360,000. FarrowBOT, Inc. is a new company developing and marketing a new prototype low cost animatronic display for the retail space. This preprogrammed dancing mannequin can be set up in minutes to attract customers without any prior experience with programming or animatronics. In addition to dancing, the product will be a platform for interactive technology displays and educational exhibits. The robot can be customized and will be built on site in Buffalo. The software will allow people to teach new dances and upload/download them from a cloud building a library of content that other users can use. FarrowBOT will locate to the Olmsted Center for Sight in Buffalo. The company will create 16 new jobs and invest $62,000. Coqui 3D, Inc. is a new U.S. branch of a Canadian company. The Canadian company is a Virtual Reality/Augmented Reality content producer currently based in Ontario conducting research and development for an augmented reality surgery training software. The Buffalo Niagara Medical Campus is an ideal location for the U.S. branch to develop their product and to run clinical trials. Coqui 3D will locate to the Buffalo Niagara Medical Center Innovation Center. The company will create six new jobs and invest $125,000. Iontraxx, LLC, a newly formed Florida company that will relocate to New York, develops applications for streamlining construction and asset management of large-scale solar energy projects through the use of proprietary software and commonly available hardware. Iontraxx software products are designed to increase the productivity and management capabilities of current hardware technology used in solar projects such as GPS trackers, radio frequency ID tags, and barcode scanners. Iontraxx will increase the productivity and decrease the cost of projects by monitoring the materials used during construction. Iontraxx will locate to the Advanced Energy Research and Technology Center Building at Stony Brook University. The company will create 13 new jobs and invest $420,000. Web4Sign Corporation is new high-tech company that brings the ink signature into the electronic world without sacrificing authenticity and integrity. The company guarantees that digital signatures will securely bond with documents and be preserved along with their metadata, biometrical signature, log and process information to assure legal value. The Web4Sign solutions fit financial, insurance, military, government, pharmaceutical and healthcare industries. Web4Sign will locate to the Center of Excellence in Wireless and Information Technology at Stony Brook University. The company will create eight new jobs and invest $650,000. SavvyRoo, Inc. is an existing formative stage company engaged in the ongoing development of a social media website for sharing facts and data behind the news and world issues. SavvyRoo develops information technology for an educational platform that teaches college students and recent graduates how to influence with data, and develop a data portfolio as part of their e-portfolios when searching for employment. SavvyRoo will locate to LIU’s University Center in Brookville. The company will create nine new jobs and invest $10,800. Motion Intelligence, Inc. is a new company that has developed a proprietary system used to facilitate the diagnosis and management of concussion injuries. The system is the subject of clinical research being conducted with SUNY Upstate Medical University. The initial customers will be healthcare providers and facilities located throughout the U.S. The company plans on growing in New York while it completes development of the system, applies for FDA approval, and begins manufacturing, marketing and selling its concussion assessment system. Motion Intelligence will locate to the Institute for Human Performance in Syracuse. The company will create nine new jobs and invest $350,057. g.tec neurotechnology USA, Inc. is a new US branch of an existing Austrian company, performing research in the field of neurotechnology using brain-computer interfaces (BCI), including the optimization of functional mapping in preparation for neurosurgery. These activities will guarantee state-of-the art signal processing software packages that will be integrated into neuro-monitoring (BCI) devices. The technology is unique and has widespread application. The company’s BCI systems will be used by neuroscience researchers and by hospitals for optimization of surgical procedures. g.tec neurotechnology will locate to the SUNY Albany East Campus in Rensselaer. The company will create eight new jobs and invest $280,000. TDG Wood Products, LTD is a new business formed to manufacture a new line of micro/micron cooking wood chips under the brand name SmokinLicious Gourmet Wood Products. The cooking wood chips will be new products and trademarked as Minuto and Piccolo Chips, respectively. The cooking wood chips will be various sizes designed and manufactured for use primarily in commercial wood cooking and/or smoking appliances used in a wide variety of culinary settings worldwide. TDG Wood Products will locate to the Sanzo building in Cuba, New York. The company will create seven new jobs and invest $249,350. Pro Drones USA, LLC is a new company to New York established as the US expansion of a Canadian company, AVYON. AVYON has the exclusive rights to manufacture, distribute and develop custom solutions for Microdrones (German engineered Unmanned Air Vehicles). AVYON also partners with DELAIR-TECH, a French company that manufactures small, long range drones for industry and augments them with next-generation data post-processing techniques. Until recently, the company has operated strictly in Canada due to current regulations, but recently obtained their first authorization from the Federal Aviation Administration (FAA) to conduct test flights in the U.S. Pro Drones USA will locate to a Tax-Free Area on campus in Rome, New York. The company will create five new jobs and invest approximately $1 million. To date, 74 schools are participating in START-UP NY, establishing more than 430 Tax-Free Areas, representing over 5 million square-feet of tax-free space for new or expanding businesses to operate on or near campuses. Each college and university’s approved START-UP NY plan is available here. START-UP NY includes strong provisions to protect against fraud. Businesses are required to submit certification to Empire State Development, and falsifying certifications is a felony. The program also includes strict provisions to guard against abuses such as shifting jobs among related entities or “shirtchanging,” when a company simply reincorporates under a new name and claims its existing employees are now new jobs. In addition, START-UP NY includes measures to prevent self-dealing and conflicts of interest. In cases of fraud, the State is empowered to claw-back benefits granted to the business. Companies that do not meet the terms of the program – including meeting their job creation targets – may have their benefits reduced, suspended or terminated. Empire State Development has the authority to review company data to ensure that jobs have been created and maintained, and to end participation by companies that have not created net new jobs. 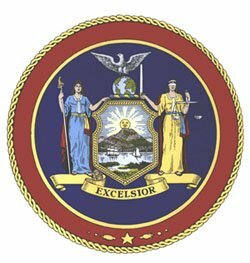 Subject: LongIsland.com - Your Name sent you Article details of "Governor Cuomo Announces 15 Additional Companies Join Start-Up NY"